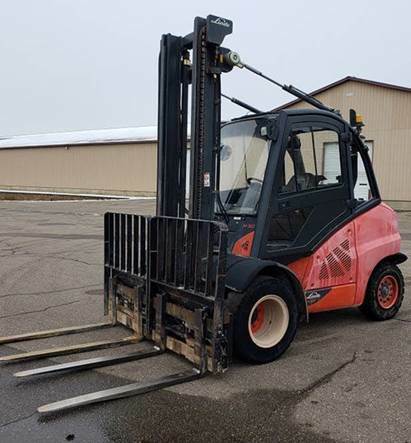 2013 Linde H50D 10,000lb 5 ton diesel fuel pneumatic tire outdoor forklift. This unit is clean and runs well. It comes with a two stage mast, double side shift attachment, 2 sets of 48" forks, dual tires - good condition. It has approximately 10600 hrs. $18,550.00 fob OH.